It’s nearly the end of summer cider weather, but you’re still clinging onto hope, right? Yeah, us too. You could use a non-alcoholic apple cider for a drink that tastes more of autumn . . . or you could use a farmhouse cider. We’d go with the farmhouse cider. Fill a cocktail shaker with ice. Add the rum and lime juice and shake well. 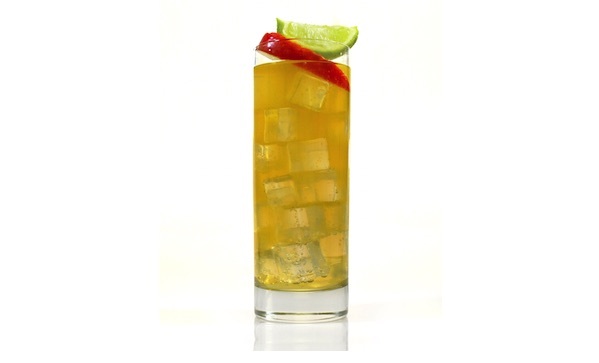 Pour the Q Ginger Beer into an ice-filled Collins glass, top with apple cider and then the shaken rum. Garnish with an apple slice and a lime wedge.